I take this to mean memory is an important factor to apply to painting. This was what I had in mind for today’s study. It is a continuation of my cactus composition from yesterday. I tried to remember the sensations that my regenerating cactus garden evoked in me and represent it on paper. 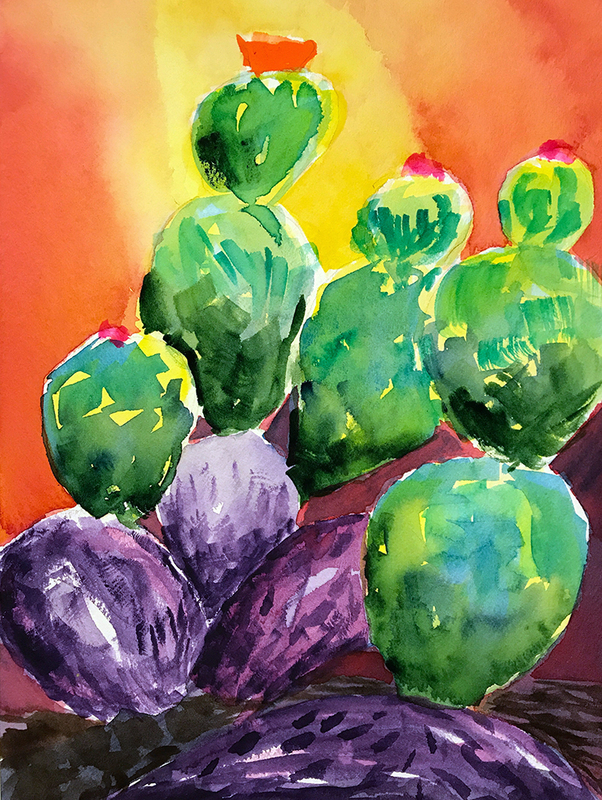 This entry was posted in Personal Stories and tagged abstract art, artistic process, creativity, emotion, Henri Matisse, memory, sensation, visual arts, watercolor. Bookmark the permalink. I do too and I like the philosophy behind it. Leaves room for the subject and its painter’ personalities. And such beautiful colors.